1. Why do you think Lucas’s teeth hurt? 2. What can he do to take better care of his teeth? 3. How do you take care of your teeth? How often do you think you should brush, floss, and/or use mouth wash to have a healthy mouth? And how often do you actually do it? 4. How did you learn to take care of your teeth and mouth? Who taught you? 5. Why is brushing your teeth important? What might happen if you don’t? 6. Who can Lucas see to get more information about dental health? Who would you go to? **The toothbrush was invented more than 500 years ago by the Chinese. Dentists recommend you change your toothbrush every 3 months. Visit your dentist for a checkup and you’ll usually get a free one. **People who drink 3 or more sugary sodas daily have 62% more dental decay, fillings and tooth loss. **What is a cavity? Cavity develops when a tooth decays, or breaks down. A cavity is a hole that can grow bigger and deeper over time. Cavities are also called dental caries, and if you have a cavity, it's important to get it repaired. **To prevent cavities, you need to remove plaque, the transparent layer of bacteria that coats the teeth. The best way to do this is by brushing your teeth twice a day and flossing at least once a day. Brushing also stimulates the gums, which helps to keep them healthy and prevent gum disease. **Tooth decay is the single most common chronic childhood disease. **More than 51 million hours of school are lost each year by children due to dental related illness. **Early tooth loss caused by dental decay can results in failure to thrive, impaired speech development, absence and inability to concentrate in school, and reduced self-esteem. **The main reason for going to the dentist regularly — every 6 months — is prevention. The goal is to prevent tooth decay, gum disease, and other disorders that put the health of your teeth and mouth at risk. **Considering more than 200,000 injuries to the mouth and jaw occur each year, dentists support the use of mouthguards in a variety of sports activities. Mouthguards are effective in moving soft tissue in the oral cavity away from the teeth, preventing laceration and bruising of the lips and cheeks, especially for children who wear braces. **Encourage you mentee to eat regular nutritious meals and avoid frequent between-meal snacking. **Have them drink fluoridated water. **Practice brushing your teeth. Teach your mentee the motions of brushing their own teeth. **Clean to the beat. 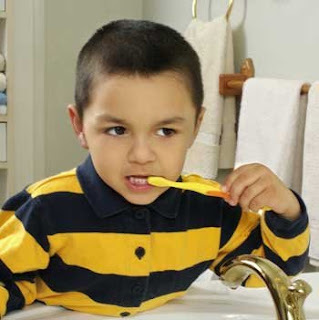 Brushing, flossing, and rinsing are all rhythmic activities. Playing music will help your mentee enjoy oral care routines. On average, brushing should last two minutes and rinsing 60 seconds. Together these activities last the length of a typical song. **Go to http://www.freeprintablebehaviorcharts.com/oralhygienecharts.htm and print a free Teeth Care Chart. It’s a fun way to keep track of number of times your mentee brushes their teeth. **Praise your mentee for their awesome brushing. Matt is in 5th grade and loves to drink energy drinks, especially Monster. He and his friends will buy one and pass it around during school when the teacher isn’t looking, and regularly drink them at home. They also love to have one before soccer practice because it provides extra energy and they think it helps hydrate them. In school they are learning about healthy nutrition and the teacher tells them that energy drinks are bad for them and aren’t allowed at school, but Matt doesn't care and thinks those rules are stupid. How could a tasty drink possibly be so bad for him? He likes how they taste and how they make him feel, and its cool to have one at school since it’s a little bit dangerous. His parents don’t know the nutrition facts about the drinks so they don’t think it’s bad, and have been buying them by the case from Costco. He now drinks at least 1 Monster every day. Recently Matt has struggled to fall asleep and experienced some dizziness and confusion, but he doesn't know why. Today, after quickly drinking a Monster before class, he started to feel a pounding headache, nausea, and his heart felt like it was going to explode. His teacher called an ambulance and he was rushed to the hospital where he was treated for chronic caffeine poisoning and dehydration. 1. Why does Matt like to drink energy drinks? Do you know anyone who drinks them that much? Why do you think they like it? Could they be addictive? 2. How often do you drink energy drinks, and how do they make you feel? Do you think they are bad for you? How much do you know about the ingredients and their effects on a person, such as caffeine? 3. Why do you think Matt and his friends didn’t listen to their teacher when she tried to explain how the drinks are bad for them? 4. Who do energy drinks target in their advertising? Do you think the energy drink advertising has anything to do with why Matt likes them and thinks they are okay for him? 5. 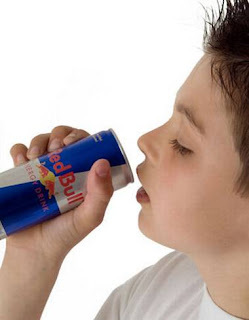 What do you think about kids and young people drinking energy drinks? Do you think they should or should not drink them? What would you say to your younger sibling if they wanted to drink one? 6. Do you think that energy drinks should have warning labels so that people know how dangerous they can be, especially for a young person? Why or why not? **Adverse effects associated with energy drink consumption include nervousness, irritability, sleeplessness, increased urination, abnormal heart rhythms, decreased bone levels, and stomach upset. ** Taurine is a common ingredient found in energy drinks. It has been linked to illnesses ranging from high blood pressure to strokes and seizures to heart disease. **According to Drug Information Online, symptoms of caffeine overdose include vomiting, hallucinations, rapid heartbeat, convulsions and death. Toxic side effects may be felt at doses exceeding 200 mg., while death can occur at doses ranging from 3 to 20 grams. avoid overdose, monitor your daily intake of caffeine from all sources. Read food and beverage labels, and learn to identify common caffeine-containing herbs like yerba mate, guarana and kola nut. **Energy drinks are marketed as healthy, fun and youthful, with many brands using action sports like skating, snowboarding and Formula 1 to appeal to children and young people. **People tend to refer to energy drinks and sports drinks interchangeably, but they are NOT the same. Sports drinks are designed for those who are involved in physical activity. Energy drinks are a mental stimulant. Energy drinks don’t tend to mix well with exercise, because of the high caffeine content which can lead to dehydration. While Gatorade, Powerade and other sports drinks can refuel the body while replenishing salts and helping the body absorb fluids, energy drinks can only give a quick boost of energy. **Scientists say that caffeine can have an effect on the growing brain and may cause a decline in the body’s immune system, so it is best to avoid giving children under the age of 10 products containing caffeine, especially energy drinks. The human brain continues to grow up to about age 16 (some even say up to the age of 21). **Just over 1,100 ER visits in 2005 linked to high energy drinks has grown to more than 16,000 in 2008 and more than 13,000 in 2009. **Some energy drinks contain high amounts of sugar, equal to around 5 teaspoons per 250 ml can, so a young person is likely to gain weight if regularly consuming these. **2011 Fourteen-year-old Anais Fournier, died after she reportedly consumed two 24 ounce Monsters (480mg of caffeine) in a 24 hour period. Cause of death was a heart arrhythmia due to caffeine toxicity. There seems to be some conflicting stories as to how much she really consumed and this seems true since 480mg in a 24 hour period isn’t a toxic amount. **Ensure your mentee knows the facts about energy drinks. It is important not to lecture them or ban them for drinking these. **Teach your mentee the difference between sports drinks and energy drinks. **Read the nutrition label in the back of the can together. Talk about the different ingredients in the energy drinks. **Talk to you mentee about the risks of energy drinks including excessive addictive caffeine and the whopping amounts of sugar leading to obesity and diabetes. **Alcoholic energy drinks combine stimulants with alcohol which is not a good mix. **Encourage your mentee to drink water. Water before, during and after exercise is typically the best way to keep kids hydrated. Healthy intake of 100% fruit juice and low-fat milk during meals is also recommended. Kimberly, a 5th grader, was known as the “leader” of her friends. No one ever challenged Kimberly because she angered easily. One day during lunch, when all the girls finished their food, they thought they’d play freeze tag. Kimberly didn’t want to play freeze tag; she wanted to play dodge ball, but her friends started to gather people for freeze tag anyways. Kimberly started yelling and told them they weren’t friends anymore. She then kicked the ball to the other side of the playground and walked away. After school, Kimberly got on the bus to go home, ignoring her friends. At home, her mom told her to start her homework while she prepared dinner. Kimberly yelled back at her mom, “I don’t want to do any homework! It’s dumb!” Kimberly ran into the bedroom, slammed the door shut and started throwing stuff. 1. Why do you think Kimberly got so mad at her friends? How could she have reacted differently to maybe get them to play dodge ball? 2. Have you ever felt angry at someone? Who was it? How did you handle it? 3. Was it okay for Kimberly to get mad at her mom? Why or why not? 4. What did you think of how angry Kimberly got? Were her reactions appropriate? 5. Who do you think you can help Kimberly with her anger? Who do you go to for help when you’re angry? ** According to BBC News almost 1/3 of 2,000 people polled had a friend or family member that struggled with anger. ** The Mental Heath Foundation says that anger is often only dealt with after a violent crime is committed. Since this fact is alarming they highly recommend early education and intervention for anger management. ** Chronic and intense anger has been linked to heart disease, cancer, stroke, colds and flu as well as depression, self-harm and substance misuse. High levels of stress inevitably take their toll on the immune system. ** 12% of people polled say they have trouble controlling their anger. 1 in 4 worry about how angry they get. 64% think they get anger than anyone else in the room. 1. Venting helps get out the rage. It actually reinforces that pattern. 2. Strong words are needed to get peoples attention. Calm clear speech is much more effective. How would you like to be spoken to? 3. If I am not mad I don't care. There are many ways to show that in a much kinder and considerate way. 4. If I back down the other person is right. Debate does not need to be heated or angry and you certainly still have the right to defend your point. ** Self awareness is very important to be able to create self control, both of these are keys to be able to work on anger management issues. Learn about yourself so that you can find inner peace, everything else will become much more manageable from that point. ** Yoga and mediation may be an extremely effective way to find an inner calm place to go when dealing with anger. ** Diversion therapy suggests removing your anger from your body literally by perhaps hitting a pillow, kicking a punching bag, or screaming into a pillow. ** Expression therapy is a similar activity that is popular in Japan where "stress bars" have popped up that allow you to throw objects to relieve your angst. ** Suppression therapy is using techniques such as counting to 10 or deep breathing to remove your self from the moment when the anger is building. ** Traditional therapy and communication are highly recommended to get to the route of the anger. ** Allow your mentee to calmly communicate what their real life problems are. Build a safe space for them to talk with you. ** Practice mediation techniques together. ** Teach your mentee stress points on their body so they can give themselves mini-massages when anger starts to build to cut off the stress. ** Use humor. 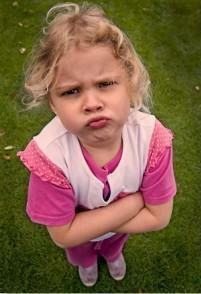 Teasing or kidding can often defuse an angry situation and allow a child to "save face." Don't use humor to ridicule your child; use it to make fun of the situation. ** Provide physical outlets and exercise. Play a sport, work out at the gym, cut wood, clean, etc. Kids need physical activity to let off steam. ** Praise positive behavior. Children strive for attention in whatever form it comes-even negative attention. So be on the lookout for those positive things your mentee does and give your attention to those. ** Teach your mentee how to step back. One of the healthiest responses to anger is to step back long enough to rethink the situation, calm down and determine what to do next. Also, teach them how to use self-talk. Try things like counting to ten, taking deep breaths, and saying to themselves, "I'm okay, just stay calm" and "I can handle this."